Update: Global News have reported that investigators are looking into the potential involvement of David Singh Tucker in the sexual assault that occurred at UBC in March, and the six unsolved attacks that occurred on campus in 2013. They have also reported that Tucker lived on campus. The RCMP arrested two men involved in a suspected break and enter and sexual assault just after 2:15 a.m. on Saturday, April 30. The men were apprehended after the RCMP received a report that an apartment building located on the 5700 block of Birney Avenue had been broken into. The men were taken into custody outside the residence. Sgt. Annie Linteau confirmed in a release that the police are investigating allegations of sexual assault, and that the suspects and victims are not known to each other. An additional release this morning confirmed that the two people charged in relation to the alleged sexual assault are David Singh Tucker and Yuan Zhi Gao. David Singh Tucker, age 28, was charged with break and enter, sexual assault and causing bodily harm (three counts), forcible confinement (three counts), robbery (three counts) and wearing a mask with intent to commit an indictable offence. According to the the Ministry of Justice website, Tucker has a history of criminal and traffic offences dating back to 2002. His list of charges include uttering threats and breach of probation order among others. Yan Zhi Gao, age 23, was charged with break and enter to commit robbery. Linteau was unable to reveal further details, such as the extent of the break-in or the reason behind the RCMP's investigation of assault, at this time. "Since the matter is now before the courts, we are very limited as to what it is that we can say," said Linteau. In an interview with CBC News, Linteau was, however, able to confirm that RCMP investigators will be looking into whether or not this latest incident is related to a previous series of suspicious incidents that have occurred since March of 2016. Campus security has issued an alert reminding students to be vigilant about their surroundings and to look out for one another when travelling on campus. 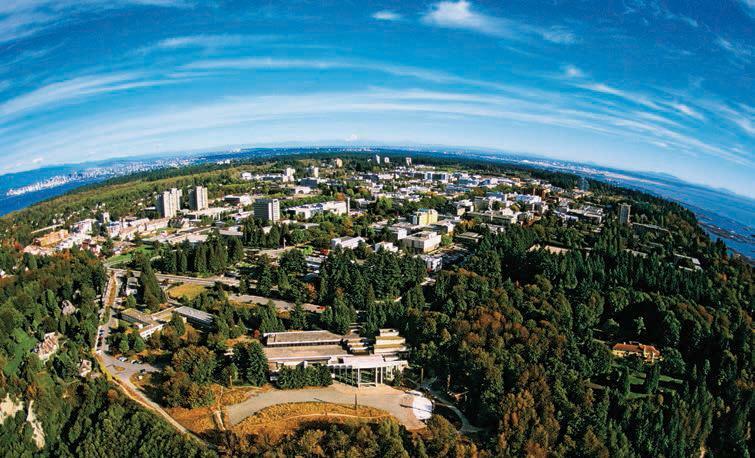 UBC has had multiple separate incidences of nighttime assaults and break-ins over the past few months. Most recently, UBC issued a warning email to students who live on campus after a man attempted to break into a Marine Drive residence lounge at 2 a.m., where a female student was studying. There have also been reports of a man lurking in female showers and residences, whose description later matched those of a man suspected of a violent sexual assault. University RCMP will be continuing their investigation into the break-in with support from the E Division Major Crime’s Criminal Investigations Unit. They are asking anyone who may have seen anything suspicious around the time the complaint was received to contact University RCMP at (604) 224-1322.